Air Serv Mobilizing for Second Ebola Response This Year - Air Serv International, Inc.
Entebbe, Uganda. Just as one Ebola epidemic has been contained, a new one is beginning. Air Serv is making preparations for deployment to support immediate response efforts crucial to containing the virus in the heavily populated region of the Democratic Republic of the Congo (DRC). Less than two weeks after health officials celebrated the containment of an Ebola outbreak in western DRC which claimed 33 lives, a new outbreak has been declared in the eastern part of the country. The first cluster of cases were reported by Congo’s Health Ministry on August 1 in the North Kivu province. Within a week, 43 cases have been reported and the death toll has reached 36. Officials have stated that the new outbreak is a different strain of Ebola from that which recently affected the western Equateur Province, and is unrelated to those illnesses. They have also stated that this variant of the virus, the Zaire strain, carries the highest fatality rate at 50% and higher. Responding organizations have reached out to Air Serv for assistance in containment and treatment operations, and plans for deployment are currently being finalized. Aircraft will be used in the transport of passengers and cargo to and from the isolated areas which are inaccessible by land. In a situation where time is a critical factor, the efficiency and cargo capacity of airplanes versus vehicles is key. 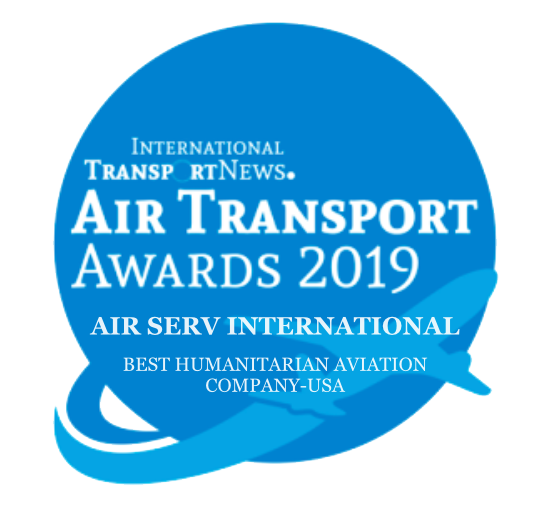 Air Serv is requesting donations and pledges toward emergency response programs to reduce the cost to humanitarian partners for critically needed transport services. Donor-supplemented programs will permit partner humanitarian organizations to focus the bulk of their budgets where they are most valuable, providing healthcare, shelter, food, and sanitation. Donations can be made through the Air Serv website at www.airserv.org.